Talent En-Gauge measures the employee engagement of your organisation – at any time – using the areas you choose to look at. You’ll find Talent En-Gauge goes well beyond usual employee engagement surveys, giving you the ability to analyse your data, compare groups of people and let you see what’s working, and not working, with regard to engagement. Ready for the next step? Schedule a demo, or learn more by reading our product flyer. 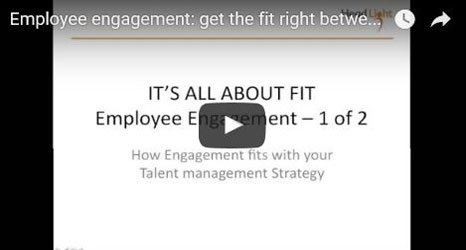 Talent Consumerisation – what does it mean for employee engagement? Why Don’t Employee Engagement Surveys Work? We’d love to explore with you how our employee engagement questionnaire and analytics software may support you – and we can do this by taking you through a demonstration. Please complete the form and we’ll get back to you to confirm and send you details. The Talent En-Gauge technology is available to partner organisations that want to make use of its power and flexibility to support their clients in their employee engagement activities. Visit our Consulting Partners page for more details. The entire team at Head Light is easy to work with. They really get what we’re doing and Talent Successor does exactly what we need it to. With Talent Successor, succession planning is an entirely different ball game now. Talent Successor adds consistency, professionalism and documentation to our talent planning activity. We couldn’t do what we need to do without Talent Successor. Talent Cloud®. Breakthrough software. Raise expectations. Talent Management Definitions: are you up to speed? How to receive feedback graciously!